So, you’ve finally decided to move to Office 365. Firstly, great news! You and your colleagues are going to get access to some of the latest and greatest enterprise IT out there. From Power BI to Office 365 Groups, Office online, Sway, and a veritable treasure chest of new and evergreen tools. However, before you can start playing with your new toys, you’re going to have to do a migration. Like most organizations, you likely have a whole range of existing software, databases, and legacy systems – and different departments who use different iterations of SharePoint. Getting data from all these platforms into Office 365 won’t be straightforward. To make sure your migration is a success, make sure you avoid the following Office 365 migration pitfalls. But don’t worry! SharePoint migration doesn’t have to be intimidating - see the migration as an opportunity to streamline and improve your existing systems. All too often, companies see a migration as a technical task—they expect the IT team to create the migration strategy, carry it out, and then make sure everything’s running smoothly in the new environment—this couldn’t be further from the truth. Migrating to SharePoint Online is an organization-wide activity. Right from the beginning you should have representatives from different departments involved in the planning, working as evangelists to their teams. Make sure you actually have specific business goals for migrating to Office 365, and a solid business case for the move. Office 365’s varied tools are super appealing, but your company may not actually need it. Make sure you’ve investigated SharePoint server 2016 which will be available in the next few months. Will it cover your needs? So, a migration is basically about moving all our files from our existing servers to the cloud...right? No, no, no! That’s totally wrong; a migration is a golden opportunity to manage your environment, and archive those document libraries you never access. It’s a great opportunity to slim down existing email inboxes and make your whole content strategy more streamlined. Right from the beginning, your teams need to be thinking about what they actually will need in the new environment, and what files, folders and SharePoint sites they never actually visit anymore. SharePoint is great because it’s so flexible, and you can customize it as much as you like. However, this also means it tends to spread and, unless you’ve managed it with an iron fist, SharePoint will have a mish-mash of outdated permissions, idiosyncratic mailbox rules, weird retention policies, and more. Once again, your migration is the opportunity to set all these inconsistencies right. Perhaps you once migrated SharePoint 2010 to SharePoint 2013. That’s fine, but you’re in for a shock if you think the process will be the same in Office 365. The simple rule to remember is that Office 365 is a much larger and more diverse set of products. As a consequence, you’ll need to migrate products individually. So, when you migrate your inbox to Office 365, only your inboxes will get migrated. Your calendars will not move until you migrate them separately. 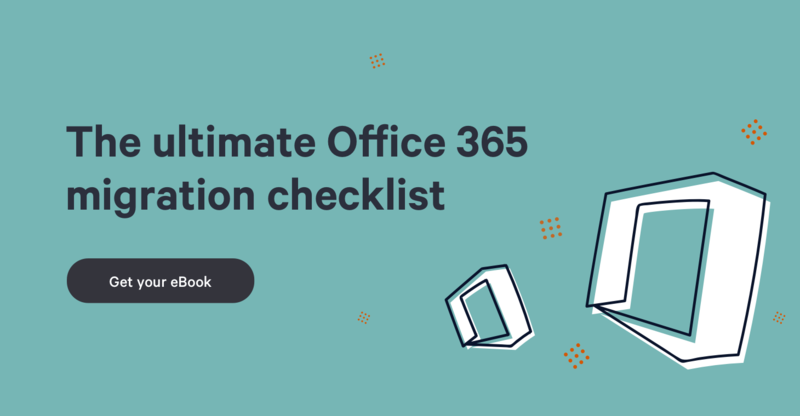 So, make sure you’ve ticked off everything on the Office 365 shopping list before you go ahead with your migration. All ready for the migration? Think again. Out of the box migrations to Office 365 are rarely as smooth as you’d like them to be, and there are likely to be unforeseen variables that you’ll have to account for. It’s therefore wise to set adequate time aside for potential downtime and bottlenecks during the migration progress. Just as above, you need to set enough time aside for importing data to Office 365. Office 365 is big and powerful, but you’ll still come up against upload limits – Exchange Web Services, for instance, hits a wall of about 400GB per day for importing. 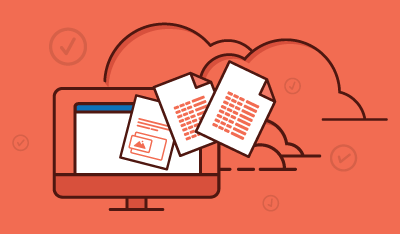 Office 365 is a pretty big leap from your existing SharePoint environment. It’s got a whole range of new features, a different interface, and works in a different way. You should, therefore, provide adequate training to users – begin by showing them the location of where their data and files in SharePoint are now stored. Once they’re settled in, you should concentrate on training colleagues to actually use all the new features and tools at their disposal – otherwise you won’t get substantial ROI on your migration. All too often, when companies migrate to Office 365, they let employees continue using their legacy system. This is fine…up to a point. If employees are using both systems to store documents, neither will be up to date, and you’ll have kind of undermined your own migration! This won’t be music to your ears, but if you think the work is done as soon as everything’s migrated to Office 365, you’re in for a surprise. It’s only just begun! Your post-migration plan needs to include new admin plans, monitoring, strategy, auditing, and archiving, too. Office 365 doesn’t let you get complacent!